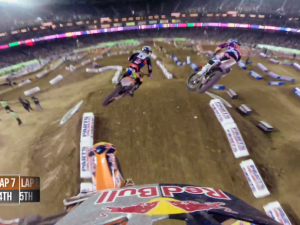 Marc Coma is a boss!! 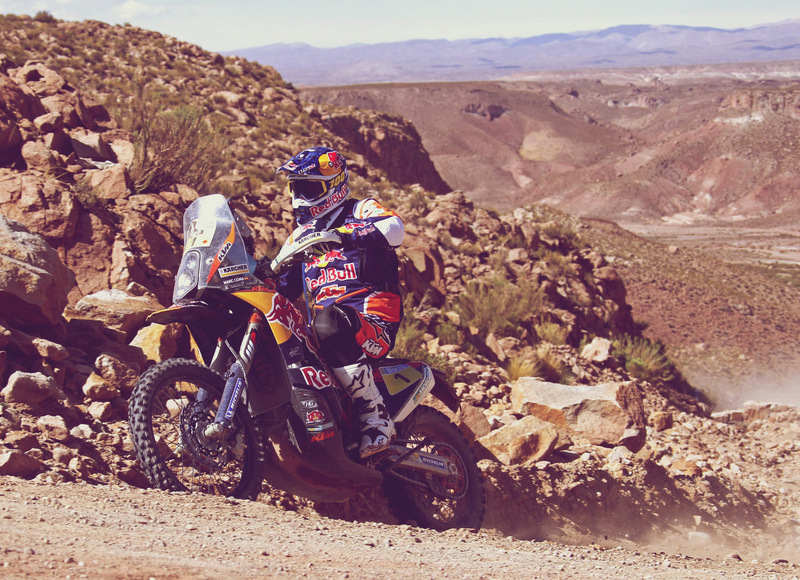 Red Bull KTM’s Marc Coma on Wednesday consolidated his position at the head of the overall standings in Stage 10 of the Dakar Rally, picking up another two minutes on second-placed Paolo Goncalves of Portugal. 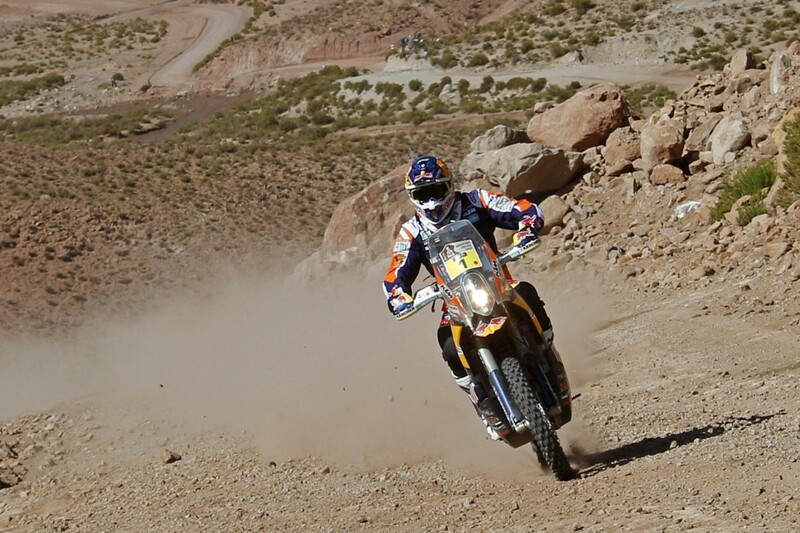 Coma, A Red Bull athlete now leads the standings by a margin of seven minutes 35 but there are still many kilometers to the finish at Buenos Aires and he still has to weather the second half of the second marathon stage on Thursday. 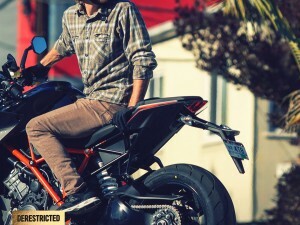 Riders are not permitted any mechanical assistance or support from their teams at the halfway point of a marathon stage. 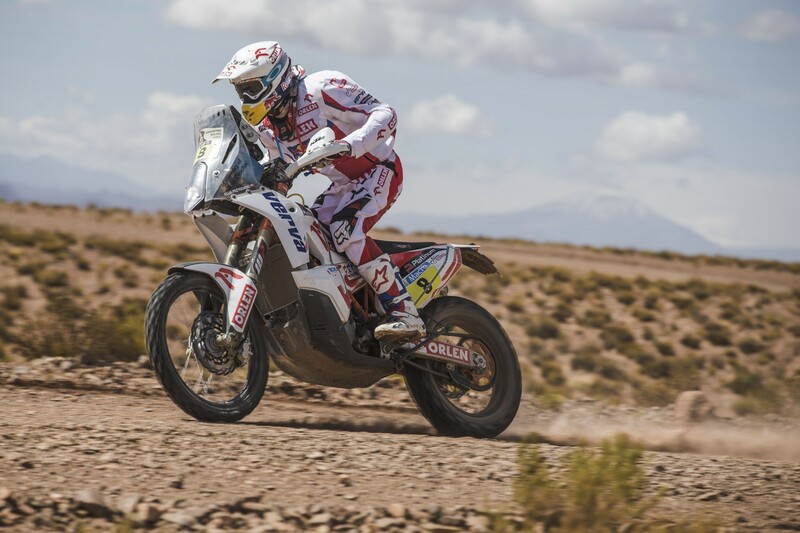 The Spanish factory rider was second in Stage Ten, which was won by Joan Barreda of Spain who has been Coma’s constant companion throughout the rally. 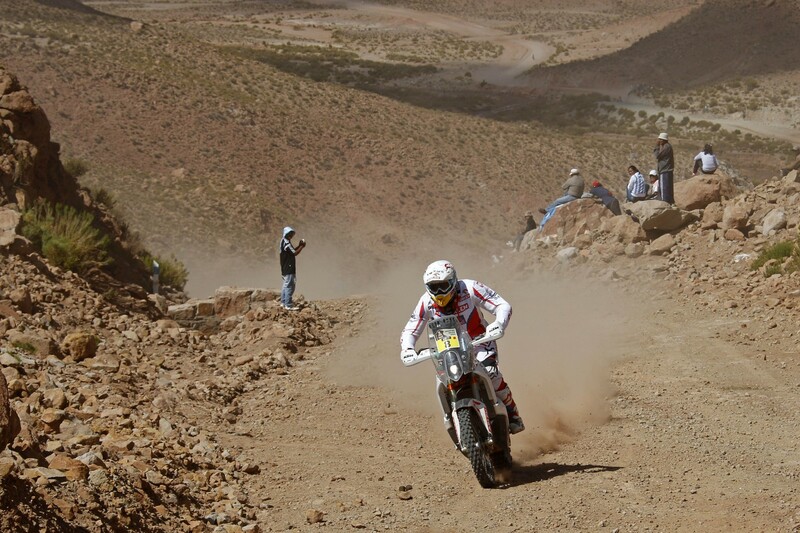 Barreda’s chances of a victory were more or less thwarted on Tuesday when he, like many other riders experiences technical difficulties crossing Bolivia’s massive salt lake. Coma finished one minute 39 second behind Barreda, followed by factory teammate Ruben Faria of Portugal at 1.57 and KTM-supported rider Toby Price of Australia at 2.14. 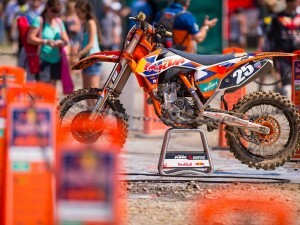 Price is fourth in the overall standings and has the possibility of catching third placed Chilean KTM rider Pablo Quintanilla, who is only around half a minute in front of the Australian. 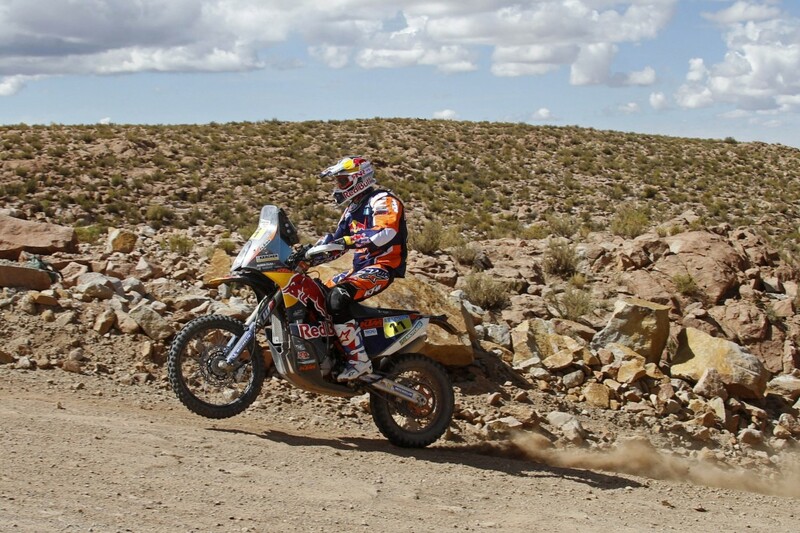 KTM currently has seven riders in the top ten positions in the overall standings. 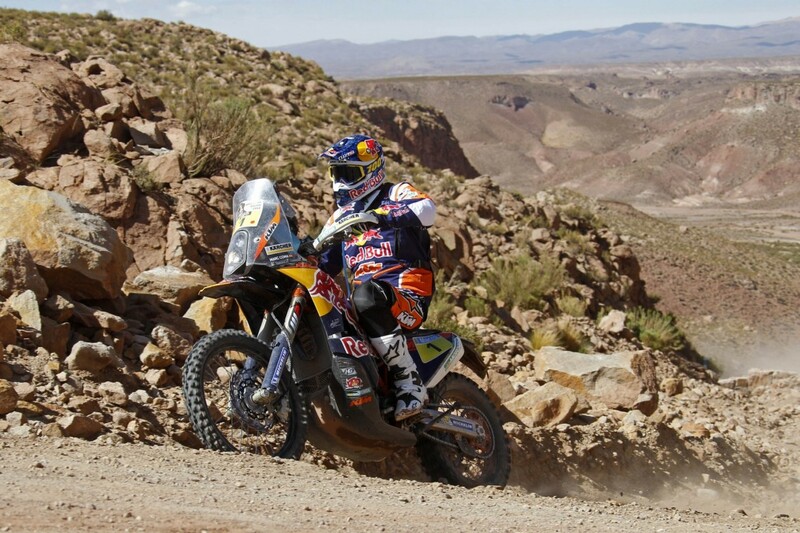 Red Bull KTM Factory riders and KTM-supported riders are contesting the Dakar on the KTM 450 RALLY. 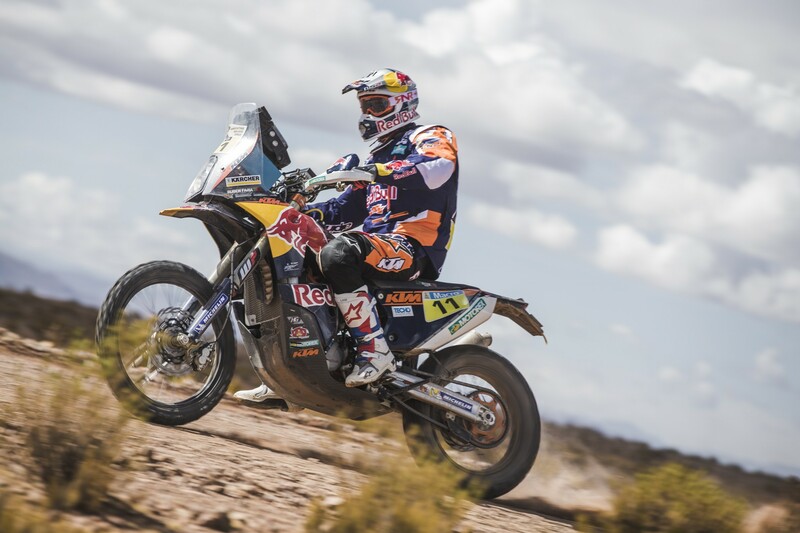 Austria’s Matthias Walkner, who like Price was riding his debut Dakar for KTM was forced to withdraw before the start of Wednesday’s special due to illness. 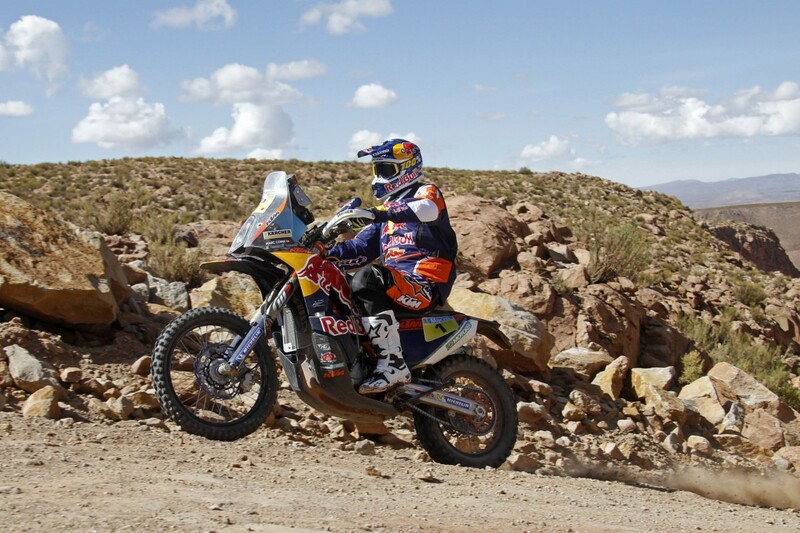 Walkner has had an impressive first Dakar experience with many highs and lows. Almost always among the fastest riders, he comes away with a stage win and a reputation for fighting back hard from adverse situations. 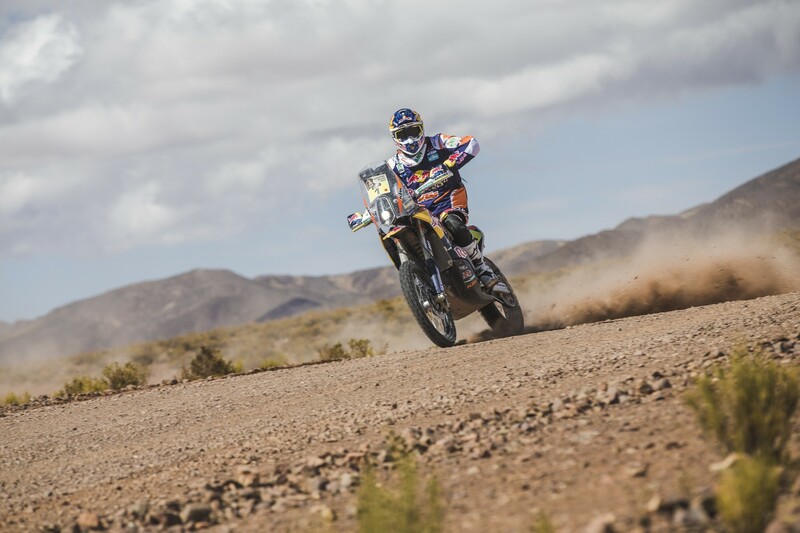 The stage took riders back across the Andes and into Argentina as the rally turns east to head back to the finish in Buenos Aires at the weekend. 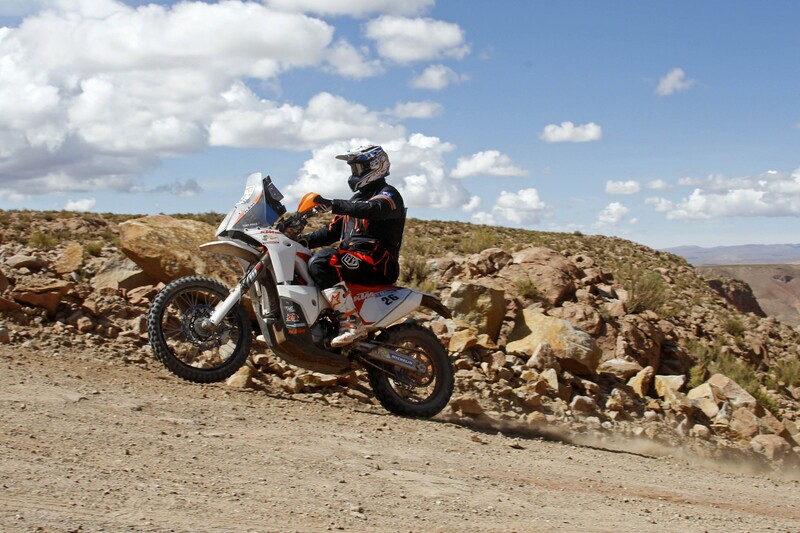 The timed special started on the Salinas Grandes, more than 3600m above sea level and the liaison stage saw them climb to a staggering 4970 m to cross the mountains via the de L’ACay pass so both riders and bikes had to contend with the debilitating effects of altitude. 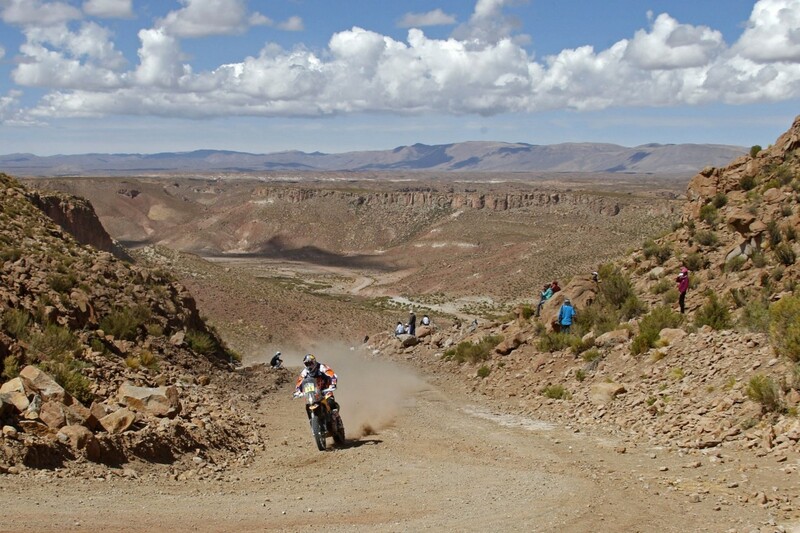 In Stage Eleven riders will travel from Cachi to Termas Rio Honda over a total distance of 512 km, of which 351 km is timed special.